As if fighting against a computer controlled Akuma isn’t bad enough, there is a new AI system that could change the face of fighting games. 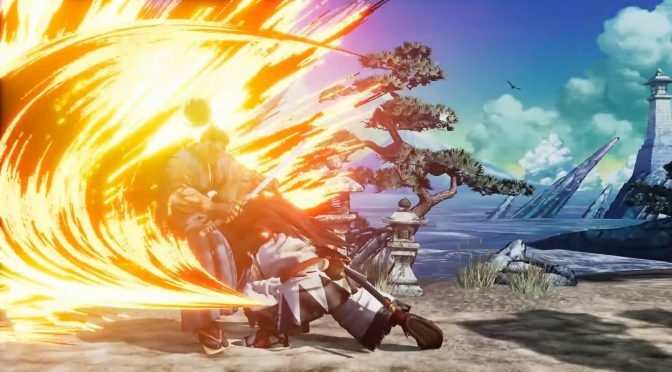 The upcoming Samurai Shodown game (Samurai Spirits in Japan) appears to be using the neural network AI for enemy fighters. What this new system does exactly is relatively unknown. The King of Fighters world took noticed to an new panel coming to the Game Creators Conference 2019 in Osaka, Japan. Titled “The Incorporation of Neural Network based AI into Fighting Games”, the panel featured a screen shot of Samurai Shodown. SNK’s R&D member Nabuaki Nigo will host the panel. From the description above, one could wager that a fighting game with this feature implemented could possibly learn the players’ style of playing and find ways to possibly counteract them. Or that info could be taken and used to make the game more difficult to defeat. Again, this is pure speculation. Nothing more will be known about the neural network AI until Nigo explains it all at the Game Creators Conference 2019 which will take place in Osaka on March 30. Nigo joined the SNK Research and Development team in 2016 where he works in the consumer game development and mobile app infrastructure. TensorFlow is an open source machine learning framework that has been integrated into a number of applications since it release in 2015. Though indie developers have made prototypes, the system has yet to be used in commercial games. SNK Playmore has plans to use the neural network AI in future titles. Samurai Spirits was first announced in September 2018 and is planned for release in early 2019. The game will launch for PlayStation 4, Xbox One, Nintendo Switch and PC.